A popular perspective on the current work stoppage in the National Football League is “Who cares about billionaires fighting millionaires?” It’s a fair question to ask; the kind that Republicans might ask about an internecine dispute within their vision of the middle class. Even if you’re not a sports fan, there are issues in this dispute that relate to a panoply of struggles between labor and management. There’s even a fairness component, something that may be hard to imagine as rich people argue about how to divide up their money. Since Wisconsin’s Gov. Scott Walker has done us the favor of re-awakening America’s concern about labor unions, we can use the current NFL situation as a window into a number of other disputes. 1. This is not a strike. The National Football League Players Association, which was founded in 1956 and did not achieve collective bargaining powers until 1968, did not vote to go on strike. In fact, when an agreement was not reached by the March 11, 2011 deadline, the union actually collapsed. This is not because they were beaten; it’s because many of the players have brains to match their brawn. Without a contract or one in sight, the players voted to decertify the union, essentially making each player a free agent. When that happened, the owners voted to lock the players out from team practice facilities. The signing of free agents and trades between teams ceased. 2. The players chose decertification because it put them in a much better position to take on the owners in the area where they are most vulnerable, violating the Sherman Anti-Trust Law of 1890 and being in restraint of trade. The central question is, “Are the players employees of the team for which they play or of the National Football League?” Yes, Sam Bradford is the quarterback of the St. Louis Rams, but what he signs is a standard National Football League contract. The League likes to act as one, while pretending to be thirty-two (teams), because that way it would not be violating the Sherman Act. But teams are restricted in what they can do in a variety of ways by league regulations. An employee in the office of the St. Louis Rams cannot say, “I have a new idea for a mug with a Rams logo on it to sell to fans,” because the League has exclusive rights to novelty marketing. In fairness to the League, the current system is very beneficial to fans, particularly if you live in St. Louis, Cincinnati, Jacksonville, or other small-market cities. Left to a completely free market, cities of this size could rarely compete with teams from larger cities, such as New York or Chicago. The owners assert that they need anti-trust exemption to protect competition. However, baseball, where there is less revenue sharing, has shown us that teams from Cincinnati, Tampa, and St. Louis can frequently be in the playoffs. From a fan’s perspective, and possibly even the players, breaking the NFL monopoly carries the serious risks of unintended consequences. 3. There is the issue of working conditions, something that exists for all employees. Factory workers, teachers, farm workers all have valid concerns about the conditions in which they work. Without the presence of unions in their industry or similar industries, we would be in jeopardy of owners going back to demanding that employees work six days a week for fourteen hours each. Oops, I forgot, they have already resumed that, it’s just that it’s happening in Bangkok, Ho Chi Minh City, and Mexico City rather than Detroit or San Francisco. But the NFL players are not without legitimate concerns. The game that they played and the way in which they are allowed, even encouraged, to play is about as hazardous to one’s health as any occupation. No matter how safe Riddell and Rawlings try to make the helmets, concussions happen every week. A player suffers the effects of the concussions, and then post-concussion syndrome. Players’ knees and other joints are twisted in ways for which the human body is not designed. The number of knee operations that some players have had is in double digits. Most former players over 50 years of age have difficulty walking and rarely are pain-free. The lingering effects of the concussions make NFL players seven times more likely to develop Alzheimer’s disease, to experience depression, and to commit suicide. 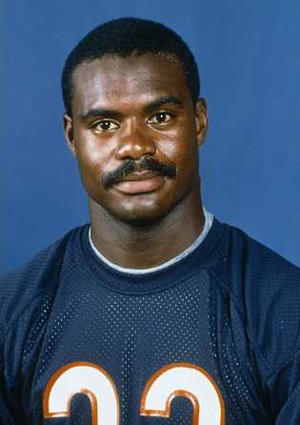 One former player, David Duerson of the Chicago Bears, recently committed suicide in a way that he thought would be beneficial to other players. He shot himself in the stomach but before doing so he sent a text message to his family saying he wanted his brain to be used for research at the Boston University School of Medicine, which is conducting research into chronic traumatic encephalopathy (CTE) due to playing pro football. The owners now want to increase the regular season schedule from 16 games to 18 games. That would mean two less exhibition games; games that don’t draw particularly large crowds. The players don’t want the expanded schedule, at least not without further compensation. The expanded schedule would clearly be detrimental to the health of the players. The “regulars” play very sparingly in exhibition games, primarily to avoid injury in games that don’t count in the standings. Besides that, a shorter exhibition season would make it more difficult for unheralded players to show their skills and make the team. The NFL can’t outsource the games, although they have previously used scabs or strike-breakers. Fans saw right through that; the games generated very little interest or revenue. There are many intriguing components to the current work stoppage, most of which relate to other labor disputes. And even though many, but not all, of the players are millionaires, their economic concerns seem much more valid than those of the owners. They risk their health; owners risk making a smaller, but still excessive, profit. There’s much we can learn by following this dispute.